Buckingham Fountain in Grant Park back when things were a little bit warmer. 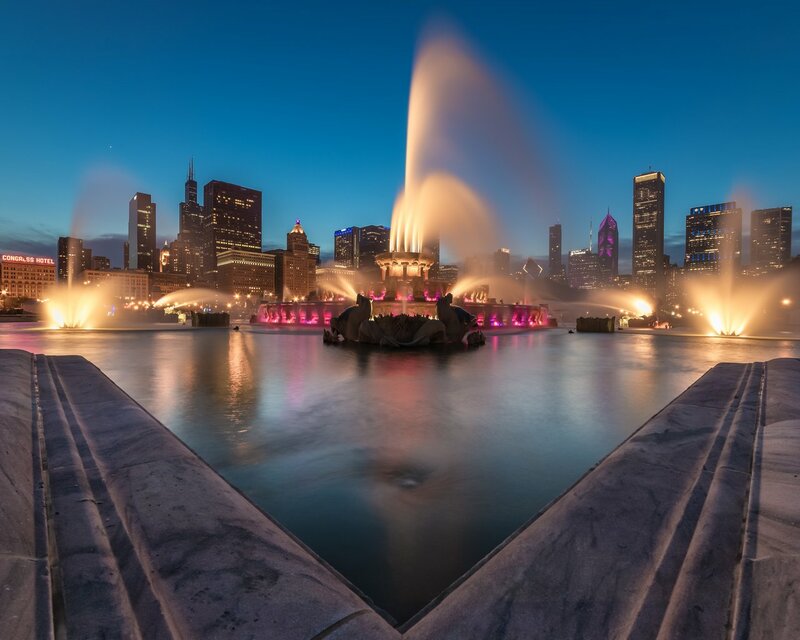 Built in 1927 it was one of the largest fountains in the world at the time and was inspired by the Latona Fountain at the Palace of Versailles. Chicago, Illinois, USA. Howdy sir intrepidphotos! wow that's an amazing sight to see and a fantastic photo! Thanks. Hope you guys are well. Your UA account score is currently 5.001 which ranks you at #1127 across all Steem accounts. In our last Algorithmic Curation Round, consisting of 368 contributions, your post is ranked at #173.